In my "Net Assessment of the World," I argued that four major segments of the European and Asian landmass were in crisis: Europe, Russia, the Middle East (from the Levant to Iran) and China. Each crisis was different; each was at a different stage of development. Collectively the crises threatened to destabilize the Eurasian landmass, the Eastern Hemisphere, and potentially generate a global crisis. They do not have to merge into a single crisis to be dangerous. Four simultaneous crises in the center of humanity's geopolitical gravity would be destabilizing by itself. However, if they began to merge and interact, the risks would multiply. Containing each crisis by itself would be a daunting task. Managing crises that were interlocked would press the limits of manageability and even push beyond. These four crises are already interacting to some extent. The crisis of the European Union intersects with the parallel issue of Ukraine and Europe's relation to Russia. The crisis in the Middle East intersects with the European concern over managing immigration as well as balancing relations with Europe's Muslim community. The Russians have been involved in Syria, and appear to have played a significant role in the recent negotiations with Iran. In addition there is a potential intersection in Chechnya and Dagestan. The Russians and Chinese have been advancing discussions about military and economic cooperation. None of these interactions threaten to break down regional boundaries. Indeed, none are particularly serious. Nor is some sort of inter-regional crisis unimaginable. I have argued two things in the past. The first was that Turkey was an emerging regional power that would ultimately be the major power in its locale. The second was that this is a region that, ever since the decline and fall of the Ottomans in the first quarter of the 20th century, has been kept stable by outside powers. The decision of the United States to take a secondary role after the destabilization that began with the 2003 invasion of Iraq has left a vacuum Turkey will eventually be forced to fill. But Turkey is not ready to fill that vacuum. That has created a situation in which there is a balancing of power underway, particularly between Turkey, Iran and Saudi Arabia. The Israelis are in a similar position to the Saudis. They oppose the Iranians, but their main concern must be to make certain that the Hashemites in Jordan don't lose control of the country, opening the door to an Islamic State move on the Jordan River. Jordan appears stable for the moment and Israel and the Saudis see this as a main point of their collaboration. In the meantime, Israel is playing a wait-and-see game with Syria. Assad is no friend to the Israelis, but a weak Assad is better than a strong Islamic State rule. The current situation in Syria suits Israel because a civil war limits immediate threats. But the conflict is itself out of control and the risk is that someone will win. Israel must favor Assad and that aligns them on some level with Iran, even as Israel works with Sunni players like Saudi Arabia to contain Iranian militant proxies. Ironies abound. It is in this context that the Turks have refused to make a clear commitment, either to traditional allies in the West or to the new potential allies that are yet emerging. Partly this is because no one's commitments — except the Iranians' — are clear and irrevocable, and partly because the Turks don't have to commit unless they want to. They are deeply opposed to the Assad regime in Syria, and logic would have it that they are supporting the Islamic State, which also opposes the Syrian regime. As I have said before, there are endless rumors in the region that the Turks are favoring and aiding the Islamic State. These are rumors that Turkey has responded to by visibly and seriously cracking down on the Islamic State in recent weeks with significant border activity and widespread raids. The Turks know that the militants, no matter what the currently confrontational relationship might be, could transition from being a primarily Arab platform to being a threat to Turkey. There are some who say that the Turks see the Islamic State as creating the justification for a Turkish intervention in Syria. The weakness of this argument is that there has been ample justification that Ankara has declined, even as its posture toward the Islamic State becomes more aggressive. This shows in Turkey's complex relations with the United States, still formally its major ally. In 2003 the Turks refused to allow U.S. forces to invade Iraq from Turkey. Since then the relationship with the United States has been complex and troubled. The Turks have made U.S. assistance in defeating Assad a condition for extensive cooperation in Syria. Washington, concerned about an Islamic State government in Syria, and with little confidence in the non-Islamic State militancy as a long-term alternative, has refused to accept this. Therefore, while the Turks are now allowing some use of the NATO air base at Incirlik for operations against the Islamic State, they have not made a general commitment. Nor have they cooperated comprehensively with Sunni Saudi Arabia. The Turkish problem is this: There are no low-risk moves. While Ankara has a large army on paper, it is untried in battle outside of Turkey's 30-year insurgency in its southeast. Turkey has also observed the outcome of U.S. conventional forces intervening in the region and doesn't want to run the same risk. There are domestic considerations as well. Turkey is divided between secular and Islamist factions. The secularists suspect the Islamists of being secretly aligned with radical Islam — and are the source of many of the rumors floating about. The ruling Sunni-dominated Justice and Development Party, better known by its Turkish acronym, AKP, was seriously weakened in the last election. Its ability to launch the only attack it wants — an attack to topple Assad, would appear to be a religious war to the secularists and would not be welcomed by the party's base, setting in motion rifts that could bring down the AKP. An attack on the Sunnis, however radical, complicates relations with the rebel factions in northern Syria that Turkey is already sponsoring. It also would risk the backlash of reviving anti-Turkish feelings in an adjacent Arab country that remembers Turkish rule only a century ago. The crisis in Ukraine necessarily involves the Black Sea. Crimea's Sevastopol is a Russian Base on the Black Sea. In this potential conflict, the Black Sea becomes a vital theater of operations. First, in any movement westward by the Russians, the Black Sea is their right flank. Second, the Black Sea is a vital corridor for trade by the Russians, and an attempt by its enemies to shut down that corridor would have to be addressed by Russian naval forces. Finally, the U.S./NATO strategy in addressing the Ukrainian crisis has been to increase cooperation with Romania. Romania is on the Black Sea and the United States has indicated that it intends to work with Bucharest in strengthening its Black Sea capabilities. Therefore, events in the Black Sea can rapidly escalate under certain circumstances, posing threats to Turkish interests that Ankara cannot ignore. Under the Montreaux Convention, an agreement signed in 1936, the Bosporus is under Turkish control. However the convention also places certain restrictions on traffic in the Bosporus. Access is guaranteed to all commercial traffic, however, Ankara is authorized to refuse transit to countries at war with Turkey. All countries with coasts on the Black Sea are free to operate militarily in the Black Sea. Non-Black Sea nations, however, suffer restrictions. Only warships under 15,000 tones may be sent, and no more than nine at any one time, with a total tonnage of 30,000 tons. And then they are only permitted to stay for 21 days or less. To complicate matters, Turkey receives a great deal of oil and natural gas from Russia through the Black Sea. Energy relations shift. There are economic circumstances on which the seller is primarily dependent on the sale, and circumstances on which the buyer is dependent. It depends on the room for maneuver. While oil prices were over $100, Russia had the financial option to stop shipping energy. Under current pricing, Russia's ability to do this has decreased dramatically. During the Ukrainian crisis, using energy cut-offs in Europe would have been a rational response to sanctions. The Russians did not do it because they could not afford the cost. The prior obsession with the fragility of the flow of energy from Russia is no longer there, and Turkey, a major consumer, has reduced its vulnerability, at least during the diplomatic phase. There is a growing breach with Europe in an attempt to avoid absorption of economic problems. However in southeastern Europe discussions of Turkish investments and trade are commonplace. Put into perspective, as Europe fragments, Turkey — a long-term economic power, understanding of what the short-term problems are — draws southeastern Europe into its economic center of gravity. In a way it becomes another force of fragmentation, simply by being an alternate economic benefactor for the poorer countries in the southeast. This is some week to be reviewing Yanis Varoufakis. Greece teeters on the edge of the eurozone, its fate a matter of ferocious dispute between European finance ministers. Until recently Varoufakis was one of them, by most accounts the most irritating and self-assured man in the room. Now he lurks venomously on the fringes, spitting disdain upon a rotten bargain that he believes will doom his nation to further misery, all of which he foretold. Did he? That is what will preoccupy anyone perusing The Global Minotaur, the polemic he has updated for the latest leg of the crisis. Regrettably it is too uneven for any clear verdict, providing material enough only to confirm the prejudices of those on either side of the argument. Those who see Greece as the nation-state equivalent of a welfare scrounger need only turn to the dismissive explanation of what ails Europe. Lethargic growth rates are blamed not on inflexible labour or munificent benefits payments but on “the way most of Europe was falling under the spell of German surpluses”. Forever making too much and consuming too little, the Germans doom the European project through their refusal to permit a “global surplus recycling mechanism” — a phrase so common it is given the acronym GSRM. The “global minotaur” of the title is not Germany but the twin deficits of the US. Just as the bull-headed monster of Crete was fed a gory human tribute, so the US sat until recently at the heart of a system that siphoned capital towards Wall Street. This was then spewed out as economic demand — a GSRM of devilish force, keeping the world economy afloat for decades, but doomed to self-destruction. Along the way, this minotaur is deployed to explain everything that irks the leftist polemicist. The Wall Street mergers and acquisitions boom, the US defence budget, Walmart — all were just the creature’s “hand maidens”. The destruction of the minotaur by a storm of its own making laid bare the instability of world demand. This is where the saga of Greece and the eurozone re-enters the tale. What Germany has built is a system of fixed exchange rates without any means of recycling surpluses towards deficit countries. Neither benign hegemon (like the US after the second world war) nor voracious, irresponsible minotaur, Germany squats sullenly atop the European economy, bargaining stagnation outside its borders for the security of its surplus. Until last week, my reaction had mostly been to scatter “nonsense” in the margins, and list the bad history and cherry-picked examples that dot the pages of The Global Minotaur. Often it reads less as a work of economics, more a drawn-out conspiracy fable that just happens to use economic terms; the author, at times appearing confounded by supply and demand, is determined to see Machiavellian impulse behind every flow of capital. One of the mysteries the book clears up is how Varoufakis could so annoy Greece’s creditors that his departure proved essential for a deal. Despite this, his basic diagnosis may be correct: without a rising tide of external demand, the eurozone has failed to disperse spending sufficiently within its borders, with crisis the inevitable result. Until the last phase of the Greek standoff, I thought this would be understood in Europe’s capitals, and that Athens’ final capitulation would be met with some recognition of the need for relief. Instead, there was only a further twist of the ratchet. Yes, reform is needed — and Varoufakis’ dismissal of structural solutions does Greece no favours. But the savagery of the German approach, akin to dragging a collapsed marathon runner back to the race, looks like an economic surplus used as a weapon of coercion. More such behaviour, and this will not be the last edition of Varoufakis’ conspiracy-minded book. WASHINGTON—The Federal Reserve sent a message to the largest U.S. financial firms: Staying big is going to cost you. The Fed’s warning, articulated in a pair of rules it finalized Monday, is among the central bank’s starkest postcrisis regulatory moves pressing Wall Street banks to reconsider their size and appetite for risk. The Fed completed one rule stating that the eight largest banks in the country should maintain an additional layer of capital to protect against losses, its plainest effort yet to encourage them to shrink. At the same time, it offered a reprieve to General Electric Co. GE -0.37 % ’s finance unit from more-intensive regulation, after the company promised to cut its assets by more than half. 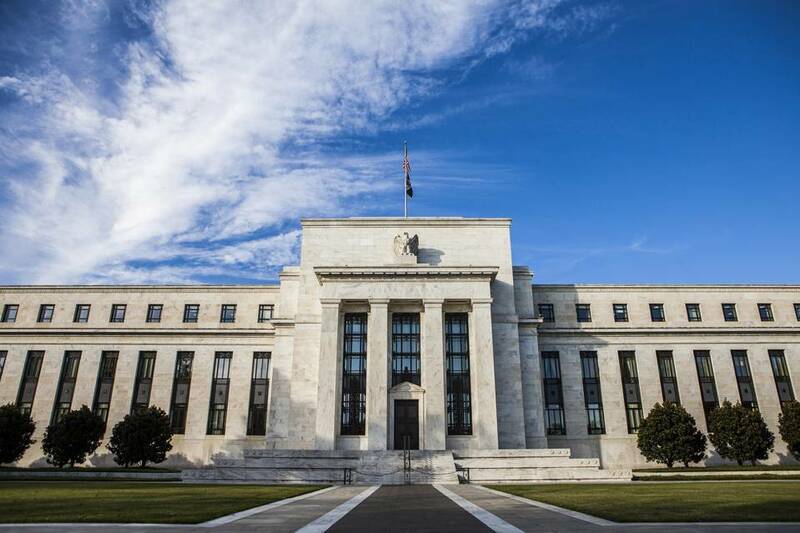 The Fed “clearly intends the very largest U.S. banks to buckle under this new capital regime, restructuring quickly and dramatically,” said Karen Petrou, a managing partner at Federal Financial Analytics, a policy-analysis firm. J.P. Morgan Chase JPM 0.07 % & Co., the largest U.S. bank with assets worth $2.449 trillion, will have to maintain more capital than any of its peers, with its minimum capital requirement raised by 4.5% of assets under management as a result of the new rule. J.P. Morgan has resisted calls from lawmakers and others to break up its operations, and instead has jettisoned or adjusted businesses to comply with the new mandates. “Everything’s doable—it just costs money,” said Glenn Schorr, a banking-industry analyst with Evercore ISI, the research arm of investment bank Evercore Group LLC. Mr. Schorr said banks could hold less capital but would have to cut parts of their business. These kinds of restrictions on banks have prompted worries about unintended consequences, such as volatility in financial markets that some ascribe to banks being less willing to take on risk. The Financial Services Roundtable, a trade group representing big banks, said the new capital rule adopted Monday will push banks to curtail lending. “Regulators should reasonably address risk, but this rule will keep billions of dollars out of the economy,” said Tim Pawlenty, the group’s president. 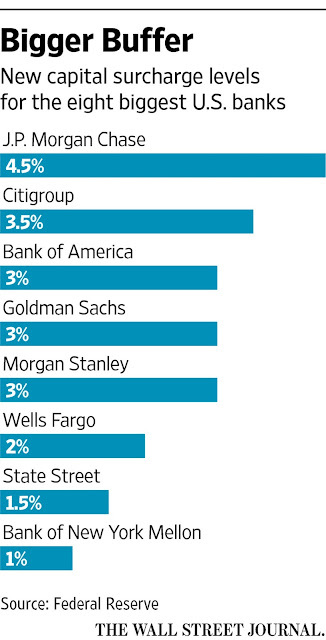 Unclear is how far regulators intend to push the biggest banks. Ms. Yellen and other officials left open the possibility that the capital rule finished Monday would be incorporated into the central bank’s annual stress tests, a significant move that would make it harder to meet the test’s targets without further changes to the banks’ balance sheets. Both Goldman Sachs GS -0.03 % and Morgan Stanley MS -0.40 % have shed nearly one-quarter of their assets since 2007, cutting capital-intensive trading activities that no longer produce the profits that justify their costs. In Goldman’s case, the firm has also sold ancillary businesses that don’t fit into its long-term plans, such as insurance. J.P. Morgan Chief Executive James Dimon has defended the bank’s scale, citing its good returns and high customer satisfaction. “We still want that pre-eminent position, and we’re not going to give that up for anyone,” he said at J.P. Morgan’s investor day in February. A J.P. Morgan spokesman on Monday said the bank is analyzing the rule. Still, in 2014 the bank stopped operating about a dozen businesses, including physical commodities and student-lending origination. The Wall Street Journal reported in February that J.P. Morgan would begin charging large institutional customers fees for certain deposits, citing rules that make holding money for some clients too costly. Retail deposits weren’t affected. The other seven large banks covered by the new rule, including Citigroup Inc. C 0.17 % and Bank of New York Mellon Corp. BK 0.37 % , must maintain additional capital buffers of between 1% and 3.5%, the Fed said. Already, firms have taken steps ahead of the Fed’s move, issuing billions of dollars in preferred shares and long-term debt, beefing up capital by retaining earnings and bolstering profits from businesses considered safer, such as wealth- and asset-management. Of the eight big banks, only J.P. Morgan doesn’t have enough capital to meet the rule, which comes into full effect in 2019. The bank has a $12.5 billion shortfall, according to Fed officials. J.P. Morgan executives have said they believe they can cut businesses and take other actions to meet the deadline. The size of each bank’s additional capital requirement is tailored to the firm’s relative riskiness, as measured by the Fed’s formula, which considers factors such as size, entanglements with other firms and internal complexity. As those factors shrink or grow, so will a bank’s surcharge. In a sign of the central bank’s preferences, on Monday it delayed until 2018 tough rules that would have fallen on GE Capital in 2017, giving the GE unit time to carry out its wind-down plan. GE Capital was under scrutiny because U.S. regulators in 2013 judged its failure could hurt the broader U.S. economy and designated it “systemically important,” a label created under Dodd-Frank that brings stricter oversight to such firms from the Fed. GE since said it planned to shed the very qualities—and assets—that made the finance unit subject to oversight in the first place. No company has been able to lose the label of “systemically important” and the Fed didn’t promise GE would be able to, either. GE said Monday it was “grateful” for the Fed’s action. —Emily Glazer and Ted Mann contributed to this article. China's four-week-long stock market rout wiped out nearly 30% off the Shanghai Composite Index since its highs of June. To stem those losses the Chinese government has formulated an interesting hypothesis: stocks won't go down if you ban sell orders. Working off this proposition Beijing has ordered shareholders with more than a 5% interest to stop selling shares; directors, supervisors, and senior management personnel are also barred from reducing their holdings. And even if you don't fall into either of the above categories of sellers you still will have trouble getting your money out of shares because two thirds of the stocks on the exchange have been halted. It should come as no surprise that the Communist government of China has fallen off the free market wagon. After all, the government is of the belief that economies grow by building empty cities. So why shouldn't they think markets work best when not allowing participants to sell? The reaction on Wall Street has been just as alarming. Deutsche Bank and Bank of America Merrill Lynch have applauded the Chinese governments for doing everything necessary to keep the bubble afloat. But Wall Street's counterintuitive and ironic bullishness on China is most evident in the powerhouse investment firm Goldman Sachs. Goldman is urging investors to buy stock in China right now! In Observing 40 years of statistical history the Goldman team in China believes "...the market is currently experiencing a standard bull market correction, not a transition into a bear market." This is eerily reminiscent of the Wall Street models that concluded housing prices could never go down on a national basis. First, I would like to know how anyone could get forty years of honest and consistent data from China. Then tell me where else in that forty year history of data did China expand its debt by $20 trillion dollars in the space of just eight years, as they have today? Statistical analysis such as this can offer a complement to fundamental analysis in making market predictions. However, this assumes the exchanges where China trades equities bears any resemblance to a market. A market is a place where a multitude of buyers and sellers freely meet and price is discovered. What China has now created is a roach motel where money moves in but it can't easily move out-if at all. Therefore, all technical and fundamental analysis goes out the door. And those who choose to participate in this charade are left waiting for Beijing's next decision on how to direct the market move. This is the antithesis of capitalism and how free markets work. That's why it should be shocking to see Wall Street, the supposed bastion of capitalism, embrace such measures. But the sad truth is there are no free markets left in this world, and it's becoming increasingly evident that most on Wall Street prefer it that way. We have grown so accustomed to market manipulations that we have completely lost sight of how the free market is supposed to function. In this new market dystopia stocks never go down, companies never fail and countries never default on their debt--central banks just print all the problems away. And where counterfeiting money and lowering interest rates doesn't solve the problem, governments are trying to demonstrate that market regulations will lead to success. We can all sleep well knowing that a small group of plutocrats who now control the global economy will make everything turn out right. Genuine market analysis has been supplanted by the need to parse the words of statements from central bankers like students at a bible meeting. And when you really think about it, why bother analyzing their words anyway. Central bankers don't understand how markets and economies work; all they have shown the proclivity to do is print more money. So we can all continue in our dystopian slumber. But the victory over command and control economies by free markets has been decided long ago. However, these hard-fought lessons seem to have been too easily forgotten. Even the Pope has joined on the Capitalist bashing band wagon. Referring to it as ideological idolatry which leads to wage slavery, vast communal dislocation and commodity-market driven hunger. But perhaps he should take a drive on the Pope mobile down the streets of Cuba or Venezuela to witness the living standards of the poor that exist without the "ideological idolatry" of Capitalism. The truth is there is no place where people live better than in a free market Capitalist economy. And it is only when you stray from this model, as we have for the past seven years, that you see the spread between the rich and poor blow out. Freedom should have vanquished Egalitarianism forever with the fall of the Soviet Union in 1991. But if those at Goldman still see the merit of investing in a tyrannical command and control economy, perhaps North Korea is the next logical investment to make. I am sure Kim Jong-un has a bridge to nowhere he would be happy to sell them. Nevertheless, economic freedom and prosperity is rapidly being replaced by markets that are driven by the edicts from autocrats, which is leading to the evisceration of the middle class. People have willingly abandoned most of their freedoms. Why? Because they have been dumbed down dramatically. How else could they have handed over the markets, economies and, most importantly, the structure of the family to governments with such ignorance and alacrity? The abrogation of markets leads to stagflation, economic collapse and chaos. Sadly, this is the ultimate fate of the entire developed world. WASHINGTON, DC – The negotiations leading up to the latest tentative deal on Greece’s debt brought into relief two competing visions of the European Union: the flexible, humane, and political union espoused by France, and the legalistic and economy-focused union promoted by Germany. As François Heisbourg recently wrote, “By openly contemplating the forced secession of Greece [from the eurozone], Germany has demonstrated that economics trumps political and strategic considerations. France views the order of factors differently.” The question now is which vision will prevail? Whereas that stance reflects the vision of an “ever-closer union” that motivated the EU’s founders, Germany’s narrower, economic understanding of European integration cannot inspire ordinary citizens to support the compromises necessary to keep the EU together. Nor can it withstand the inevitable attacks directed against EU institutions for every action and regulation that citizens dislike and for which national politicians want to avoid responsibility. The original European Economic Community, created by the Treaty of Rome in 1957, was, as the name indicates, economic in nature. The Treaty itself was hard-headed, grounded in the converging economic interests of France and Germany, with the Benelux countries and Italy rounding out the basis of a new European economy. But economic integration was underpinned by a vision of peace and prosperity for Europe’s peoples, after centuries of unprecedented violence had culminated in two world wars that reinforced the seemingly eternal enmity between France and Germany. And, indeed, the language of a larger political union was embedded in Europe’s treaties, to be interpreted by the European Court of Justice and subsequent generations of European decision-makers in ways that supported the construction of a common European polity and identity, as well as a unified economy. That experiment cannot survive if supported only by economic rigor and rules. What can continue to justify a political entity after the urgent realities and convictions that drove its establishment have faded to the pages of history and civics books or, at best, are the subject of grandparents’ stories? For the US, those questions arose in the 1840s and 1850s, when the urgent need for a union to secure independence had faded, causing issues and conflicts that had been papered over to resurface. In particular, slavery was allowed in some states, but prohibited in others, and the 1787 compromise to count each slave as three-fifths of a person when determining a state’s population for representation and taxation was fraying. Economic differences between the industrial north and the agricultural south meant that discussions over states’ rights were about livelihoods as well as lives. A horrific war resulted, in which the US defeated the secessionist southern Confederacy and imposed its vision of the union. Before the war’s end, President Abraham Lincoln created a new narrative, declaring in the Gettysburg Address that it was fought for democracy as much as equality, with the goal of ensuring that “government of the people, by the people, for the people, shall not perish from the earth.” This account simplified – and, in many ways, distorted – the historical record. But no matter; the speech became as important a part of American national identity as the Declaration of Independence and the Constitution. The EU is now facing its own civil war, though one that, fortunately, is free of physical violence. Without statesmen and stateswomen able to articulate a vision of a shared future worth working and even sacrificing for, the side of unity may not win. Europe’s national anthem, a circle of stars, and talk of fiscal rectitude and structural reforms cannot compete with the potent messages of the EU’s opponents. Those opponents, on both the right and the left, are focusing on the everyday living conditions of European citizens – those who feel threatened by migrants and those who are suffering as a result of austerity. For the EU to continue its march toward a stronger and closer polity and economy –one that nevertheless falls far short of a federal state – it must offer the credible prospect of a better life for all of its citizens. Just before the final round of the recent Greek negotiations, French President François Hollande said that he did not want a Europe that “no longer progresses.” Fair enough. But progress toward what? Toward liberty, equality, and fraternity for all of Europe? Toward the dignity and solidarity of all European citizens? Toward a shared European house that is kept in order? These are the questions that a new generation of European politicians must answer. More than Greece, more even than the Shanghai stock market, the US interest rate cycle obsesses financial markets. The dollar retains a worldwide pre-eminence, both as a yardstick of value and the medium through which much of global finance is delivered. No part of the world economy can be indifferent to US monetary conditions. Ever since US rates hit rock-bottom in 2008, there has been speculation about the return to normality. Now the evidence is beginning to accumulate — from markets, economic data and official hints — that the next few months could finally see a bend in the curve. One augury can be found in the price of gold, which on Monday plumbed a five-year low of $1,088. As a monetary mechanism, bullion no longer matters as it did when central banks needed vaults full of it as their means of settlement. But gold still says much about sentiment. Its ascent to $1,900 per ounce tracked the collapse of investor confidence in the wake of banking and sovereign debt crises. Gold remained expensive for as long as the authorities appeared unable to restart growth. Now, whether it be inflation, financial contagion or economic weakness, investors are no longer as nervous, and consequently see less value in buying tonnes of an inert yellow metal. Gold’s recent skittishness may partly stem from its own idiosyncrasies: the release of figures breaking down Chinese reserves came in unexpectedly low, for example. But other signs of confidence are unmistakable. In 2012, a protracted stand-off between Greece and the rest of the eurozone led to carnage in European bond markets. This time around, their response has been to shrug. There is a similarly sanguine reaction beyond China to its stock market gyrations. Even as the Shanghai Composite lost 30 per cent in value, the S&P 500 flirted with all-time highs, and a measure of market volatility reached its lowest point in two and a half years. &amp;lt;strong&amp;gt;&amp;lt;/strong&amp;gt; Economic reasons for delaying a rise are melting away. One is the persistence of low inflation. Central banks have been at pains to emphasise the difference between good deflation, which stems from a positive supply shock, and the bad kind, brought about by weak spending. The past year has been all about the first sort, as plummeting oil and other commodity prices have granted developed economies a helpful boost to their incomes. However much headline inflation is dragged down, such effects ought not to linger for more than a year or so. Recent experience helps to dispel another reason for delay, which is the risk of low inflation feeding through into weaker wages. Faster growing economies are instead seeing pay rises returning to normal levels. As a result, signs that the oil price is slipping again ought to be interpreted as unambiguously positive for growth. Lastly, in the US and UK there has been a gradual conversion to the merits of early action. While the Federal Reserve and Bank of England are not exactly racing one another to the first rate rise, their respective bosses show a newfound eagerness to discuss it. In speeches studded with caveats, Janet Yellen and Mark Carney each hinted at rates beginning to rise by the turn of the year. Both elevate data over dogma; Mr Carney described how the BoE needs to “feel its way as it goes”, echoing the approach of his US counterpart. The era of zero interest rates has not proven kind to those fond of confident market forecasts. In light of this a little circumspection from central banks is understandable. But in recent weeks all of the straws in the wind have started to drift in the same general direction. A turn in the monetary cycle may at last be on the cards. For months now there we are witnessing attacks on the gold price on an almost daily basis. Two methods are used. The hammer smash, where billions of notional of gold futures are sold within seconds to overwhelm demand and to cause a substantial drop in the gold price. The second method is price strangulation where life is strangled out of the gold price like a Python kills its prey by capping all upward price movements and then dragging the price down slowly but surely. The latter was the more frequent method. This month we had three spectacular hammer attacks as well. The first one happened on July 7 when almost $1 billion notional of gold futures were dumped in seconds into the open market. The next attack happened on the July 17, this time it was $1.4 billion. On July 20 $2.7 billion notional of gold futures were dumped during Asian trading hours. In total more than $5 billion notional of gold futures were used to smash the gold price down to $1080/oz. Who are the perpetrators? I rule out any hedge fund or private bank because of the huge sums and risks involved. How could the management of a private entity explain such overt market manipulations to shareholders without having to resign only to become a target for law enforcement agencies? The excellent archive on www.gata.org will help anybody who is interested in delving deeper into this subject. For now I just refer to these people as the Cartel. The Cartel is in a very difficult situation. It increases demand for physical gold by reducing its price. On the July 20 shares of Indian jewellery companies soared because the public expects increased demand for gold jewellery due to the fall in prices. In 2015 private gold demand in India (more than 1000to) and China (more than 2400to) will be higher than annual world mine production. Add to that central bank buying at last year's level of more than 500to and you will see that demand for physical gold is extremely strong. For a number of years now physical demand has been higher than mine supply. With the smashing of the gold price this situation is getting worse because gold miners shut down and production falls. This year in the US gold mine production is down almost 10%. The South African gold mining industry faces total collapse. The shares of Barrick Gold fell to a 25 year low. In the past 20 years enormous amounts of central bank gold were lent out to earn interest income. Estimates say that about 30% of all western central bank holdings were on loan. This would be a volume of more than 7,000to. The fractional reserve banking in gold means that 1to of gold can turn into 10 or more tonnes of paper gold. Now this gold is recalled because central banks can not earn any meaningful return through gold leasing and because they worry whether they get their gold back at all. Take Germany as an example. The US told them it would take seven years to return a few 100to of gold which supposedly sits somewhere in a vault in New York. Is it unreasonable to assume that some bullion banks and the US authorities are now faced with a gold bank run? They appear to pitch for short term gains, a panic or two among gold investors, to pick up their assets to meet delivery calls. It would have been more sensible to let the gold price rise. This would have boosted gold production and the sale of scrap gold and thus enabled them to meet their margin calls. They have already lost the game because the supply of gold is drying up and the world becomes aware of their troubles. We should sit back and enjoy the show. Corporate bond investors have been pampered since the global financial crisis. Slow growth and conservative balance sheets have boosted the allure of company debt, generating strong returns. But so far, 2015 has been less kind; the outlook is uninspiring too. 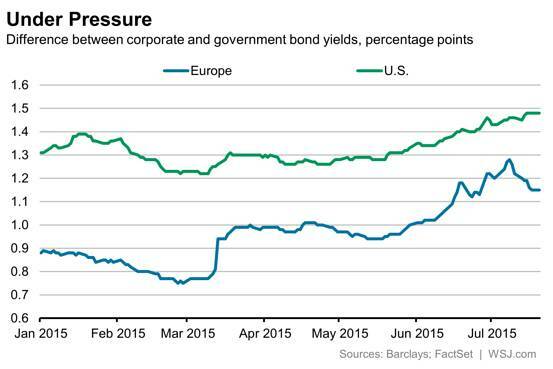 European and U.S. corporate bonds are down 0.8-0.9% year-to-date, according to Barclays indexes. Some of that is down to the recent sharp reversal in government bond markets, but there has been an extra blow on top: the gap between company and underlying government bond yields has widened since the start of the year too, to 1.15 percentage points in Europe and 1.48 in the U.S. True, that means that yields are now a little juicier, at 3.4% in the U.S. and 1.3% in Europe. The search for yield and extremely low default rates mean the corporate bond market isn't at risk of collapsing soon. But neither is it particularly set to shine. Issuers are busy taking advantage of good borrowing conditions, weighing on prices. In Europe, net supply of corporate bonds has turned positive for the first time since 2010, BNP Paribas notes: U.S. companies have been particularly busy, raising long-dated debt at startlingly low yields. That is a trend that may continue. In the U.S., the past two weeks has seen over $80 billion of investment-grade issuance, Société Générale SCGLY -0.51 % notes, and the pipeline may be busy as companies look to raise funding before the focus turns more to the U.S. Federal Reserve and the risk of rate rises. Corporate balance sheets look more at risk. The second quarter saw global M&A hit $1.29 trillion, its highest tally in eight years, with a record $640 billion recorded in the U.S., according to Dealogic. 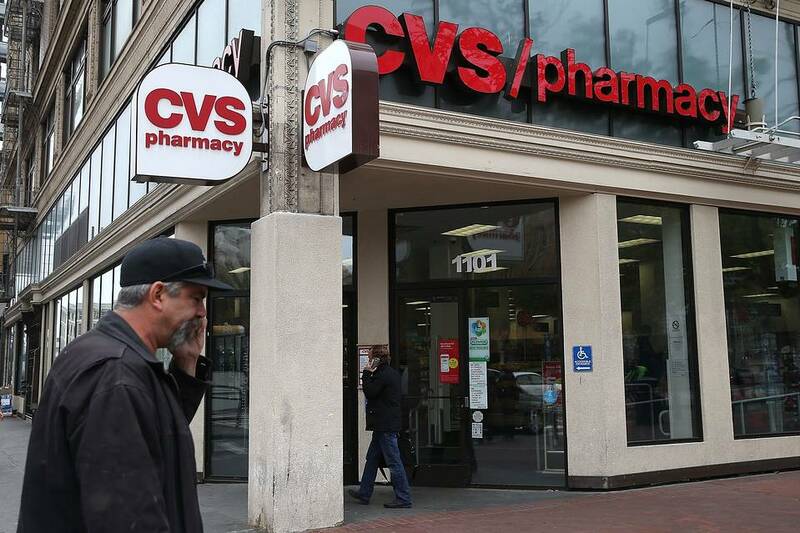 Companies are proving willing to finance deals with debt: for a recent example, take CVS Health’s purchases of Omnicare and Target’s pharmacies and clinics businesses. The trend isn’t so far advanced in Europe, but could yet accelerate. Meanwhile, fund flows have favored equities more. In May and June, Europeans pulled €8.7 billion ($9.4 billion) from high-grade bond funds, more than half the inflows in the previous four months, data from J.P. Morgan shows. Overall, fixed-income flows have turned almost as negative as in the taper tantrum of 2013, Bank of America Merrill Lynch notes. There are also increasingly high-profile concerns about liquidity in corporate bond markets. exaggerated rises in price—it will have a similar amplifying effect in a selloff. Over time, corporate bond yields should price in a higher structural premium for liquidity. Greece and China are no longer scaring investors, meaning some might be tempted back into the market. But potential gains are limited at best, and if investors start to think in earnest about U.S. rate rises, any respite could be short-lived. The best days for corporate bonds are in the past. Last October police in Lima found detonators and TNT in the home of a Hezbollah operative. Now the Obama administration has agreed to phase out many economic sanctions on Iran in exchange for its promises to disable parts of its nuclear program. The deal provides for winding down international restrictions on trade and investment with Iran. It is also expected to gradually liberate more than $100 billion in Iranian assets frozen by the U.S. and other countries. Iran has targeted Latin America since the mid-1980s by establishing mosques and cultural centers to spread the revolution. An arm of Hezbollah, Iran’s Islamic fundamentalist proxy, took responsibility for the 1992 terrorist attack on the Israeli Embassy in Buenos Aires. Argentine prosecutors named Iran as the mastermind behind the 1994 terrorist attack on the Argentine Israelite Mutual Association (AMIA) in the same city. Iran has “observer” status in the Bolivarian Alliance for the Americas, a coalition of pro-Castro governments in the hemisphere launched during the Venezuelan presidency of Hugo Chávez. ALBA’s members include Cuba, six other Caribbean countries, Venezuela, Bolivia, Ecuador and Nicaragua. The alliance relationships with Iran mean Iranian and Hezbollah operatives now move about the Americas easily. A 2014 paper published by Mr. Humire’s center notes that intelligence officials in the region believe Tarek El Aissami, Venezuela’s interior minister from 2008-12, provided new identities to 173 Middle Easterners. 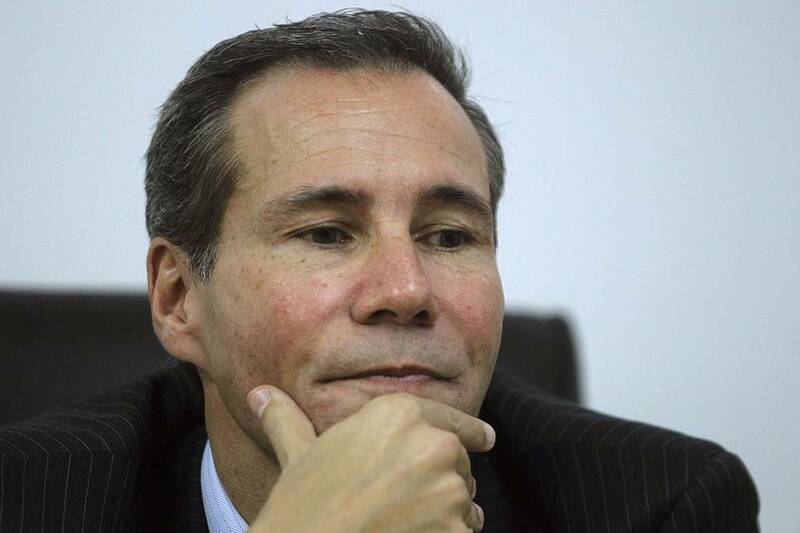 In 2013 Alberto Nisman, the Argentine prosecutor who was investigating the AMIA case, released a 500-page report about the extensive Iranian terrorism network in the hemisphere. One of his more chilling findings was that the foiled 2007 plot to blow up New York’s John F. Kennedy International Airport was an Iranian operation, run by a Guyanese recruit. In January Nisman was found in his Buenos Aires apartment with a bullet through his head. One argument for lifting the sanctions is that Iranians are suffering economically. But their hardships have done nothing to diminish the Islamic Republic’s Latin American adventures. Iranian investment in the region is not about securing food or economic growth but rather about meeting strategic goals. There is solid evidence that since 2007 Iran has invested in uranium exploration—presumably tied to its nuclear interests—in Bolivia, Venezuela and Ecuador. The Iranian military has at least one joint venture with Venezuela, located in the state of Aragua, where Mr. El Aissami is now governor. Propaganda is an Iranian priority. HispanTV, launched in 2011, is a Spanish-language channel run by Iran. It has partnership agreements with state-run television in a number of ALBA countries. In his 2014 book, “Remote Control,” the respected Bolivian journalist Raúl Peñaranda alleged that Iran’s former President Mahmoud Ahmadinejad donated $3 million to President Evo Morales to finance and equip Bolivia’s state-owned television station Abya Yala. Gen. Douglas Fraser , former head of the United States Southern Command, testified to Congress three years ago that Iran was backing at least 36 Shiite Islamic cultural centers in Central America, the Caribbean and South America. This year Gen. John Kelly, who now runs Southern Command, testified that there are more than 80. Last October a Hezbollah operative was arrested in Lima on suspicion of plotting terrorism in Peru. Press reports said that police discovered detonators and TNT in his home, and evidence that he may have been scouting out the Jorge Chávez International Airport for a possible attack. President Obama is boasting that his deal is Reaganesque. But Reagan did not abandon Latin America to enemies of liberty. 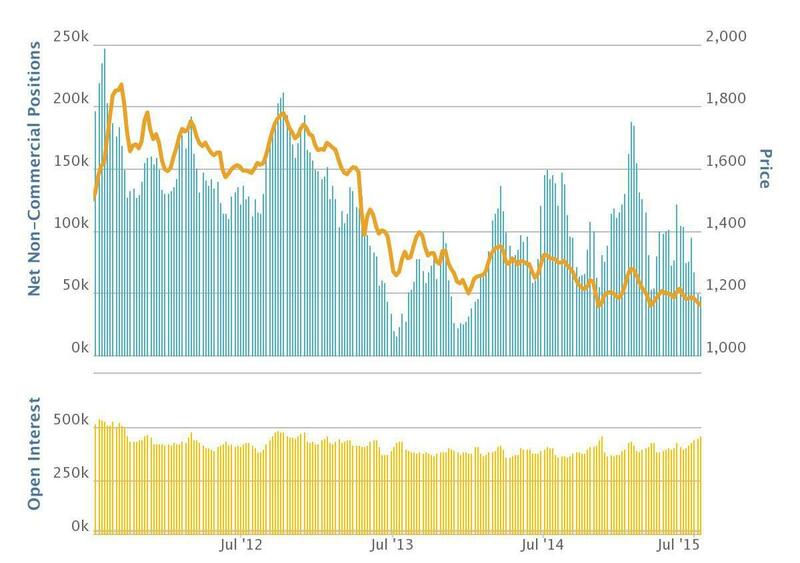 Gold made new bear market lows this week, as did the major mining indices. The move lower came on the announcement that China has not been buying anywhere near as much gold as many had estimated. Although in the very short term we may drop a little further, both gold and the miners have strong support just below and we may soon see an oversold bounce. The big news this week was that gold (NYSEARCA:GLD) has made new bear market lows, admittedly by only a few cents on the spot gold contract, but new bear market lows all the same. This was probably to be expected given that the gold mining index (NYSEARCA:GDX) had already broken its November 2014 low earlier in the week, as the general rule is stocks tend to lead the commodity. For the week gold lost just over 2.5% and the miners just under 8%, with both showing signs that the decline is not yet over in the immediate term. However both have strong support levels just below, and I would therefore not recommend initiating new short positions at this juncture as there is likely to be at least a small relief rally in the not too distant future. I will cover those potential bounce targets a little later on, but first we should take a minute to talk about the other big piece of information making the news within the gold sphere this week, as the outside edges of the price decline puzzle may have just been filled in for us. To precious metals suppression theorists, a core tenet of the argument is the 'massive buying' of gold by China. 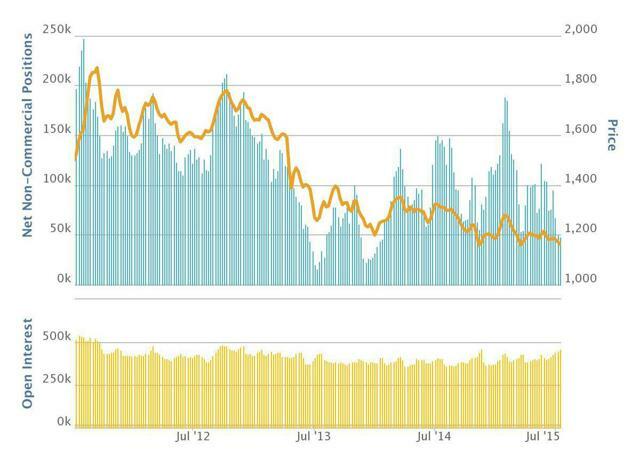 How could the price be falling when the PBoC are buying so much gold? That argument was dealt a huge blow this week as China disclosed its official gold reserves for the first time in 6 years, and the total was well below that of consensus estimates. 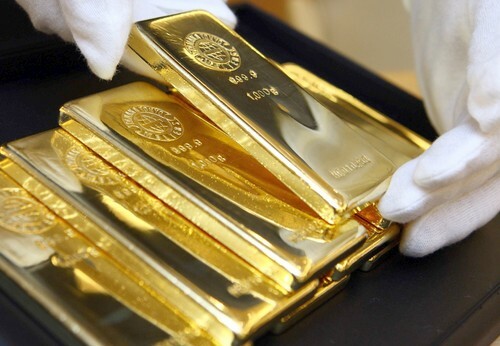 The figures show that China has purchased 604 tonnes of gold since April 2009, taking its total holdings to 1,658 tonnes (less than the reserves of Italy or France) and at today's gold price that represents just 1.6% of its total foreign exchange reserve holdings. In fact, analysis of its foreign exchange reserves show that China is the biggest holder of the US Dollar globally with over $3T on its books. "Gold has a special risk-return characteristic, and at specific times is not a bad investment.. Gold is the same as other commodities and financial assets, the global price rises and goes down.. based on our analysis on gold's value and price changes, and on the premise of not creating disturbances in the market, we steadily accumulated gold reserves through a number of international and domestic channels.."
The comments made by the PBoC were telling for a number of reasons. The first is that they are obviously not buying indiscriminately regardless of the price - they wish to buy at the cheapest price like everybody else does. 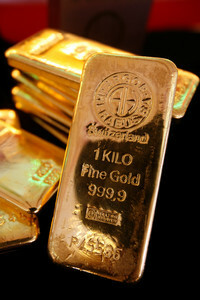 The second is that they see it as a commodity rather than a currency - somewhat at odds with the GATA view; and the third is that they understand that the gold market is small and they do not wish to distort the true value by making large bulk purchases - hardly the outlook of a country intent on dethroning King Dollar and asset backing their own currency. Doubtless there will be articles written stating that the figures are wrong, in fact we are already seeing reports of people hinting that the Chinese have low-balled their official figures, but to those thinking logically about the decline from 2011 onwards the answer has always been simple - the price is falling because demand is not outpacing supply, regardless of how much is being allegedly bought up by China, India and Russia. Many of the gold newsletter writers and prominent gold analysts - analysts that have mostly maintained a bullish stance throughout this bear market - are the ones casting doubt, but I would urge people to step back and see the whole picture. Just a few weeks back the same people were telling us that the dwindling Swiss Customs export figures were incorrect, and were pointing to the SGE withdrawals stats as the proof that Chinese demand was actually rising. It beggars belief that they would now say that the Chinese figures have been under-reported. Some people will never admit they were wrong. In investing it is important to view a price trend as it is rather than what you want it to be, and in the precious metals arena we see a series of lower highs and lower lows that mark a clear downtrend. If you only had the chart to look at and knew nothing else of the gold market, you could assume that the fundamental landscape of supply/demand/sentiment is bearish given that price is falling. Investing solely on fundamentals is difficult as you never truly know if you have the fundamental landscape pegged, and Friday's announcement is a perfect example of this. Many raging bulls would have been TKO'd when this report was released. Fundamentalists ignore charts, but then a chart is representative of all the fundamentals that brought price to this exact moment. Price is truth. Despite the decidedly bearish news there is one clear positive. When the tide turns and gold makes its first higher high on the chart, we will have a potential willing buyer here with the ability to propel the price upwards in short order. At the end of 2014 central banks globally held an average of 10% of their reserves in gold - should China start to play catch up and increase the amount they hold from the current 1.6% level, price could simply rocket higher. However, at the present time it is clear that the Chinese are ignoring gold in favor of the dollar - perhaps you should do the same until they change their stance? Quite an interesting report this week in the respect that the Commercial trader category took the opportunity to add a fair number of long and short positions, while the other categories made little change. Since the speculator categories got effectively more net short (they sold long contracts), we can see a corresponding number of long contracts added on the commercial side, but this week they have actually added 7,000+ hedges which allowed them to increase their long holdings further whilst maintaining their overall position. When gold is approaching its bear market low I am expecting to see the speculators net short and the commercial traders net long. Could they be preparing for this now by increasing their inventory? Only time will tell. The latest chart is below, and yes we are most certainly reaching a point where we could see a little bounce. This is an inflection point now, and certainly not the time to be initiating new positions - better to wait for support to either hold or break before you make your move. One final comment - gold made the bulk of its move lower after the data for this report was compiled (it runs Tuesday to Tuesday), so unless we see a very sharp move higher on Monday you can expect to see the speculators get further net short by the time the next report is issued. A short covering bounce is probably not very far away. Regular readers will know by now that I am a huge dollar bull, and expect to see much higher levels in the next year or two. There is a chance that we have now completed the correction and are starting to break to new highs, but it is equally probable that we retest the highs (blue box 100.20-101.30) before dropping back to roughly 94 and then resume our march higher. 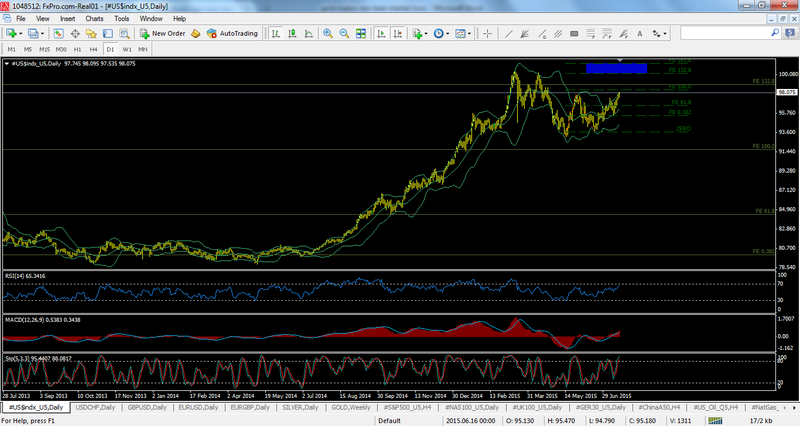 If we retest the highs then drop back, this will give gold the chance to bounce a little before making new lows. The key level in the dollar is therefore 101.30 - a solid break above this level would indicate we are heading to at least 103 and more probably higher, and would heap the pressure on gold; but a failure at the blue box or below may give gold the chance to shine for at least a short while longer. As with gold they do have very strong potential support just a few percent below, and I would not expect this support to be violated by anything more than a quick spike on the first attempt. The 2008 gold miners bear market low stands at 15.24 and we have trend line support at 14.84 and I am looking for a bounce in that zone ideally. Should that play out with gold making a corresponding low and the dollar a short term top, we may see a rally start to unfold. Doubtless we will be told that this time the low is in, but I lean towards this being just an oversold bounce with a further low to come. The target for a bounce in GDX would be towards 19, but this depends on where we make the low itself, and could be slightly higher or lower as a result. I will calculate targets if/when a bounce starts to materialize. I shouldn't have to tell you that a clear break of this support without an immediate reversal back above would be extremely bearish for the miners, and may result in further capitulation towards my ultimate bear market target of 10. Bulls need to be careful. Short term support stands at $1132, $1125, $1108 & $1100, but the major support is the 50% retrace of the 1999-2011 bull market at $1086. That is a support level I would not expect to see broken on the first attempt. It lines up well with the target for a bounce in GDX and I would expect us to make a tradable low on or around that level. As with GDX, if we were to see a strong move through the above support levels and did not immediately reverse higher, we could see a capitulation event in gold. The next support level below $1086 is $1035 followed by nothing much until we hit $900. However, my primary expectation is that we see a tradable low somewhere in this region and a quick bounce higher before we make further new lows. The target for the bounce can only really be calculated when the first couple of waves higher are in place, but in broad terms I think if we were to make the low at $1086, we could well see a bounce toward $1180. Although I expect gold to head below $1000 before the bear market concludes towards year end, $1086 is the first price level at which I would legitimately consider the low being in for gold. Obviously we would have to see a very strong impulsive move from that level for me to take that view, but many investors have lost money waiting for one more low that never came, so if you have an investing timeframe of 5+ years, you should probably be buying at least part of your inventory now. As usual I will update thoughts in the comments section as the count progresses, and I wish you all good luck for the coming week!